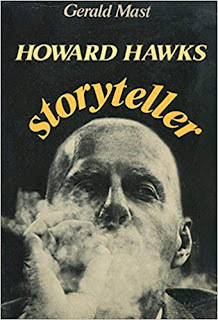 Howard Hawks (1896-1977) was an American filmmaker and one of the most important of the Golden Age of Hollywood. His career went since the silent period to the early 70s, and in it he made some of the best films in each genre, as Bringing Up Baby (comedy), Only Angels Have Wings (drama), Air Force (war movie), Rio Bravo (western), Scarface (gangster film), Gentlemen Prefer Blondes (musical) and The Big Sleep (film noir). 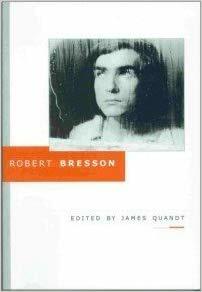 Edited by James Quandt (senior programmer at Toronto International Film Festival Cinematheque), Robert Bresson gathers academic essays, interviews and opinions from worldwide filmmakers (such as Scorsese or Michael Haneke) about one of the most acclaimed and influential film directors in history. The adaptation of Journal d'un curé de campagne discussed by André Bazin, the spirituality of his body of work seen by Susan Sontag, the impressive use of sound in Mouchette (1967) studied by Lindley Hanlon, an interview conducted by Godard that reveals much of Bresson’s aesthetic intentions, among many other relevant texts, all this makes this book the most important on the French filmmaker. 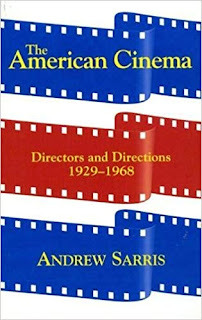 Andrew Sarris (1928-2012) was an American film critic. 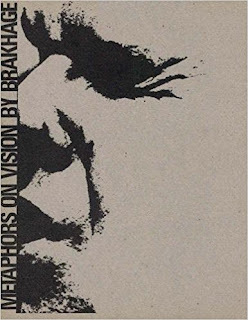 He was the one who coined the term "auteur theory" (a not completely correct translation from the french politique des auteurs), brought from Cahiers du Cinéma to the American appreciation, mainly in his influent article Notes on the Autheur Theory. This "policy" is known for focusing criticism mainly in those directors ("authors") whose personal styles and visions of the world are consistent along their bodies of work. 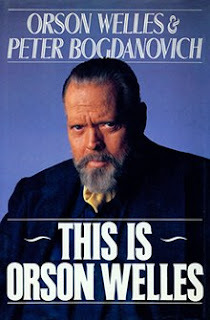 He wrote for Film Culture, The Village Voice and The New York Observer. 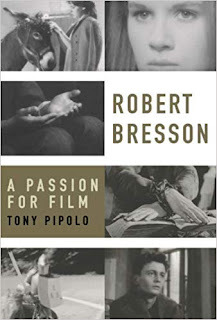 Robert Bresson was a French filmmaker, known for his ascetic and austere style, where the protagonists seek redemption in a world inhabited by despair and indifference. His minimalist approach, with characters absent from a background, use of non-professional actors (or "models" as he called them), fixed camera, absence of non-diegetic soundtrack (except in unexpected moments such as religious masses who enclose his films) and the depuration of action without visual embellishments, made him one of the most influential filmmakers in film history. Of his short work (13 feature films and a short film), his most remembered films are Journal d'un curé de campagne (Diary of a Country Priest, 1951), Un condamné à mort s'est échappé (A Man Escaped, 1956) and Pickpocket (1959). Justin Chang is an American film critic for the Los Angeles Times. 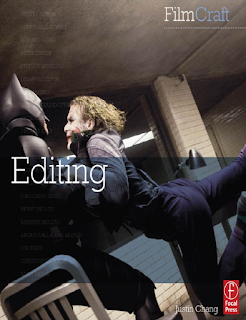 His book Film Craft: Editing is a collection of short interviews with 17 of the most acclaimed film editors in the world. In it are discussed the differences (not only physical but also psychological) between working on film and digital, the implications that a cut can have, different rhythmic approaches to the material, among many other filmic aspects. Chang has made an accessible little study that, in spite of avoiding the technical details of the craft, is a good starting point for anyone who wants to know more about film editing.